Remember the CSL Hommage concept BMW brought out a few years ago? 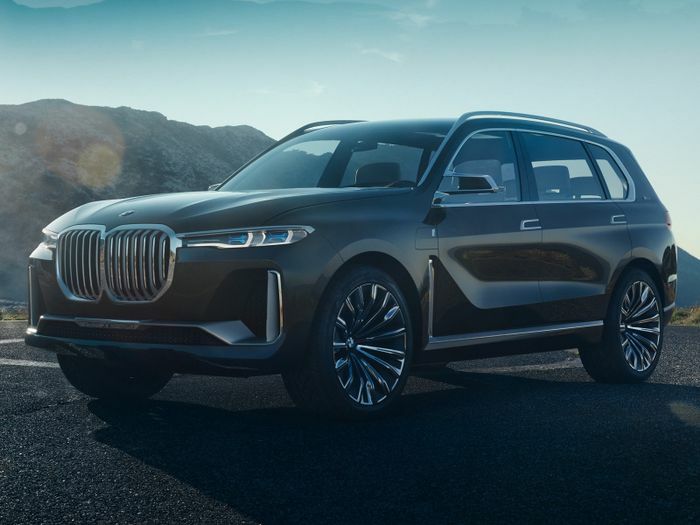 At the time, we weren’t sure it’d be possible for the company to come up with a more absurd interpretation of its iconic kidney grille, but we’ve been proven rather wrong by this: the new BMW X7 concept. 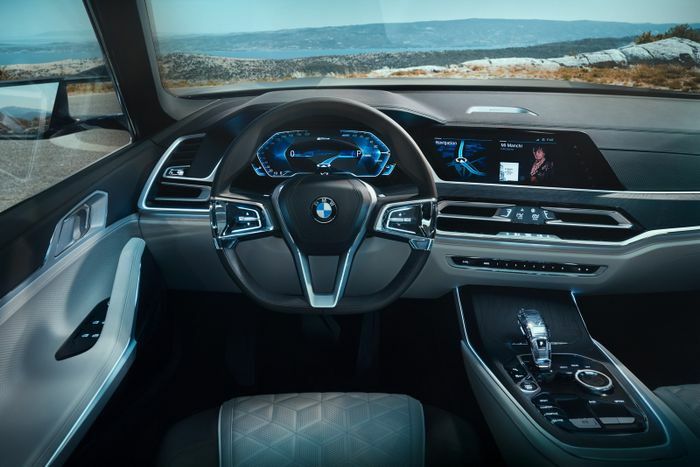 We’re not supposed to see this car just yet, but thanks to some leaked images that have appeared on Bimmerpost, we’re getting an early look. And my, what big teeth it has. 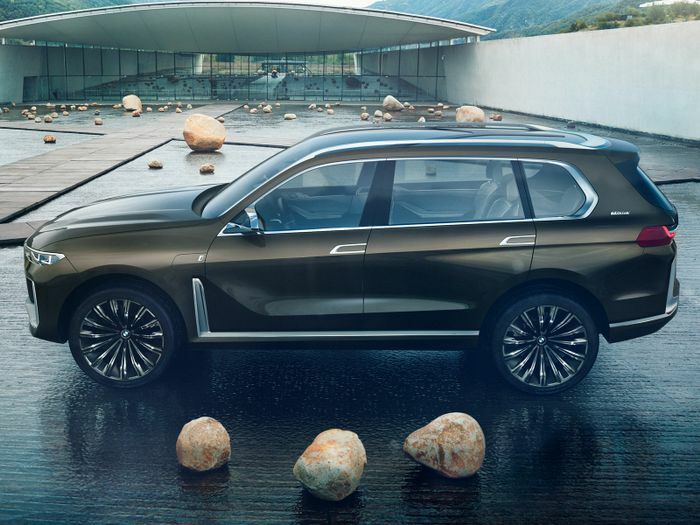 It previews BMW’s first crack at a ‘Murica-friendly, full size, three-row SUV. 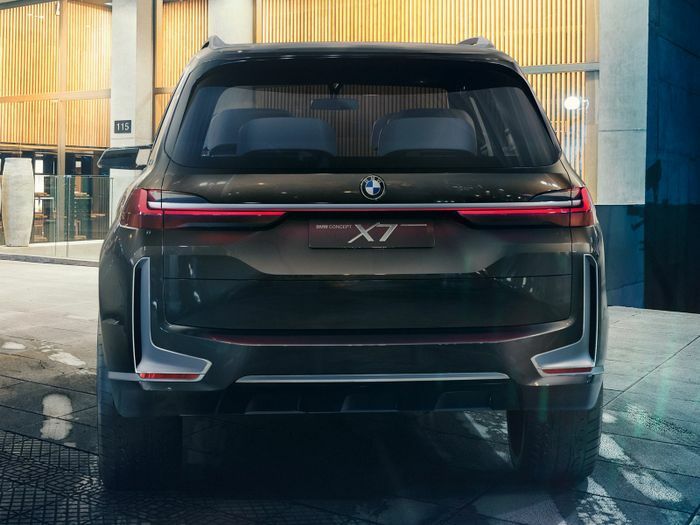 As well as the aforementioned nashers - which we’re hoping get toned down a touch for the production version - the X7 also sports a similar ‘gill’ design behind the front arches, echoing a similar arrangement on the current 5-series and 7-series. 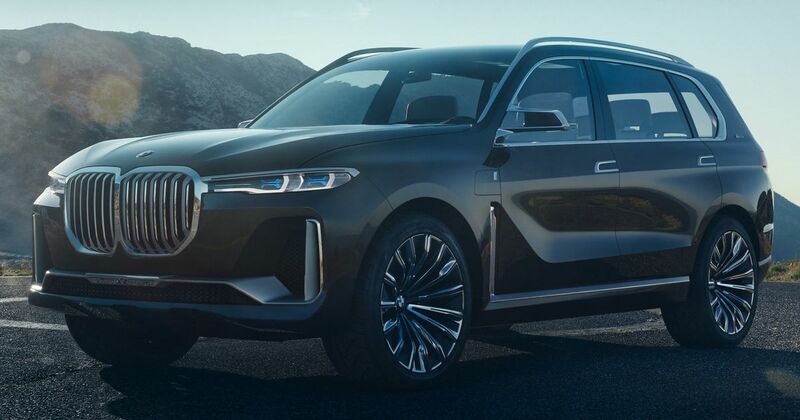 There aren’t any details to go along with the images just yet, but we can be pretty sure this buck-toothed, enormo-SUV is a plug-in hybrid. The eagle-eyed among you probably spotted the giveaways: there are ‘i’ and ‘eDrive’ badges, what looks like a charging flap, plus you might have also clocked the word ‘hybrid’ on the digital instrument cluster (below).